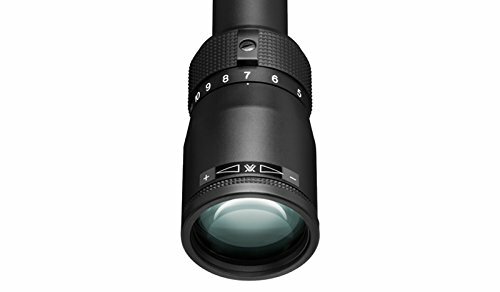 If you’re looking for a new set of optics for hunting, there’s lots of competition out there right now. From high-quality brands like Leupold, Redfield, and Sightmark, to cheaper Chinese models that are beginning to up their quality game in a big way. For this review, I took the Vortex Diamondback 4-12×40 on a hunting trip to Bedfordshire in England. It is an amazing place for hunting so hopefully, I’ll get a good idea of the quality that Vortex are serving up with this Diamondback scope. This review will also serve to my all of my readers from the USA, of course. Let’s not forget Vortex is and American company after all and their scopes are mainly produced for the USA. Most keen enthusiasts know of the Vortex name by now. They’re a brand synonymous with quality, and with a good reason. Their offerings are almost always in that middle ground sweet spot – between crazy expensive equipment and the bargain basement stuff you’ll probably want to give a miss. 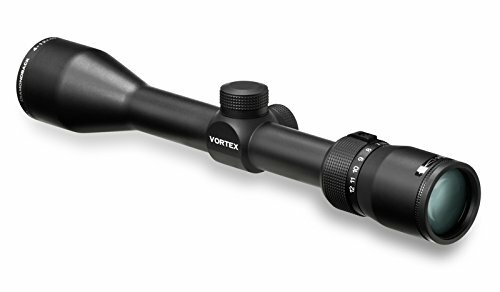 The Vortex is a well-made optic, manufactured from aircraft-grade aluminum. It’s a pretty decent weight too, coming in at just under 15 ounces. The scope is set at 4-12×40, which should, in theory, provide a decent long range view for hunting deer and game. Vortex does make quite a statement over the quality of imaging through the scope. I’m not going to run through the technology, for now, let’s see if this puppy really does offer the crystal-clear view it says it should! The Vortex is pretty easy to mount and thanks to that low weight, it doesn’t impact rifle feel that much. I was able to start rotating the eyepiece and begin sharpening up the image after a few minutes. It always takes me a while playing with a new scope up against a wall or sky to get the best clarity. My eyesight has taken a turn for the worse over the past few years so it really helps when a scope has a quality adjustment. In this respect, the Diamondback Vortex does a damn fine job. 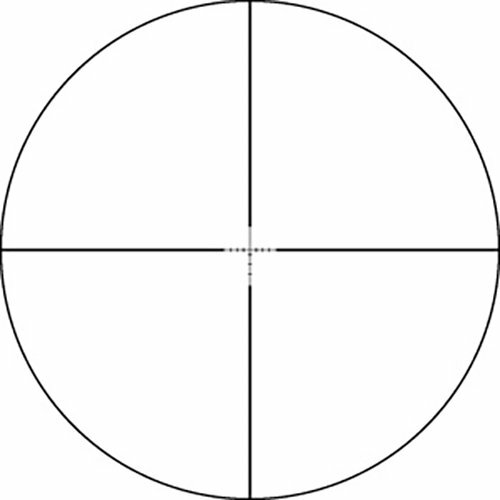 The Vortex does also come with a BDC Reticle, a handy feature to compensate for holdover. I’ll be the first to admit I frequently have trouble guessing holdover, partly due to my eyesight issues. The Reticle in the Vortex does make your life easier and for those of you who are over 40, you’ll probably want this in your kit bag! To use the BDC, simply set the mark zero at 100 yards, then adjust depending on the marks within the scope. It’s a simple tool but one that really helps. Even at this relatively low price, the Vortex is a decent quality bit of kit. The turret clicks are lovely and solid, a real joy if you’ve been using cheaper CVLIFE or similar units in the past. The range is very good, although the cheaper glass used in its construction does tend to wash out if you’re using the Vortex in low sunlight. Having said that, by lowering the magnification you can pretty much dial this out and get back to a crystal-clear image again. 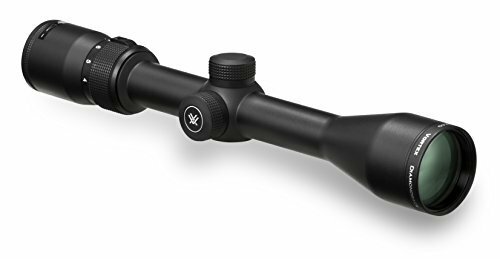 Another good thing that Vortex have got perfectly right with the 4-12×40, is the finish on the scope. It’s a quality item, yet the anodized finish is a low glare satin. I felt confident that the scope would be the last thing to advertise my presence whilst hunting. Light collection is definitely something worth shouting about. It easily pulls in as much light as any Leupold optic I’ve used. I didn’t get the chance to use the sight at night but my hunch is that the Vortex should be able to give a bright and clear image. Certainly, for the price point, I don’t think you’ll get better. As for negatives, there aren’t that many. You can argue that the sight easily blurs up in some light conditions; however, the glass is crystal clear and I’d say that you’ll be fine 90% of the time. These sights are made in the Philippines, yet from the reviews and talking to shooting club friends the quality is right up there with the best. I know that many people keep their sights for decades at a time, after all, if you look after your optic, it generally looks after you. I’ve no doubt in my mind that the Diamondback range is the exact same in this regard. The Vortex has that feel you get from a premium product, and I’ve heard nothing but praise for their customers’ service. Being a resident in sunny England (don’t laugh! ), I always worry about the seals in brand new scopes. You never know if they’ll last the test of time and I’ve bought some true horrors in the past, namely a Nikon that would leak during the lightest of rain showers! Thankfully, it seems like Diamondback has us covered on this account, thanks to a pretty decent O-Ring setup. So far, I’m not aware of a single Diamondback seal failing, so hopefully, even on the wetter side of the Atlantic, the Diamondback should provide good service. If you’re worried about keeping your Vortex for the long haul, you should be fine. It is really hard to be negative when using the Diamondback Vortex. At this price range, scopes can either be amazing, or completely useless. Thankfully, the Vortex is the former. It’s easy to set up and the clicking mechanisms are of a satisfying quality. Even with my eyesight problems, I was able to find a clear view at reasonably high magnification. My only issue was the performance in low sunlight; however, backing the magnification off a touch helped with that. Light collection is good and the BDC is really easy to use for those who need that assistance. Above all, the main reason I like this Diamondback is because of the build quality. I don’t think you can realistically get better for the $200 mark, certainly not with other premium manufacturers and I don’t think the cheaper brands are up to point yet. Basically, if your budget is around the $200 mark, you want one of these – nothing else is going to come close! If you want something cheaper, check our Barska scopes reviews or our Bushnell TRS-25 Review.